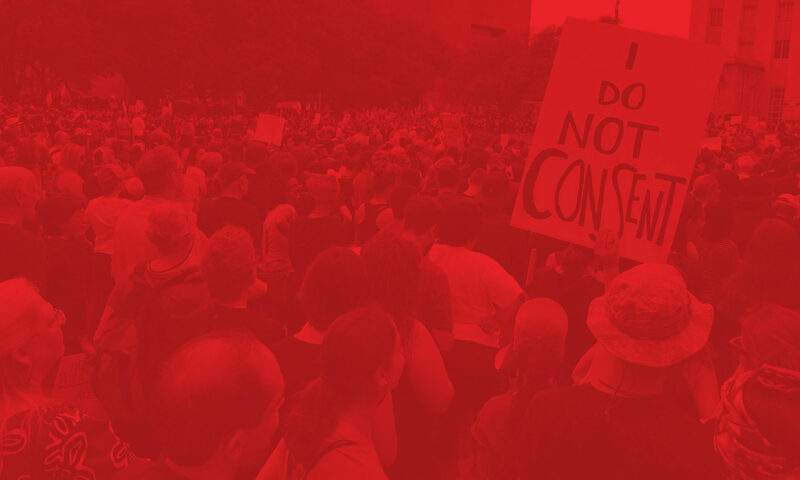 This article is part of Houston DSA’s ongoing series of posts related to our campaign for Medicare For All. DSA is committed to building a healthcare system that prioritizes the health of working-class Americans over the profits of insurance companies and their billionaire executives. The story of universal healthcare in Canada begins not in the country itself but thousands of miles away in central Scotland. Tommy Douglas was born in 1904 in the settlement known as Camelon. His family would later emigrate to Winnipeg in the Canadian province of Manitoba but before they left, Tommy badly injured his right knee. The family had little means to seek medical treatment for Tommy at the time and they put off treatment until it was unbearable. He went to a hospital where doctors said they would need to amputate the limb. However, luckily for Tommy, a well known orthopedic surgeon agreed to operate on the child without payment as long as the surgery was assisted by medical students. After several operations, Tommys leg was saved from amputation and he was then again a happy and healthy child. This experience, however, set into motion a change in Canadian healthcare forever. Tommy always remembered how lucky he was to receive free treatment from an amazing surgeon but, he knew that many of his fellow countrymen were much worse off than he was. He accomplished many things through his life, such as becoming a amateur boxer at the age of 15, an ordained baptist minister, a social activist during the Great Depression, a member of the Canadian House of Commons, and finally the Premier of The Province of Saskatchewan (a similar position to that of a US state governor). As Premier of Saskatchewan he oversaw the first democratic socialist government elected in all of North America. In 1947, Tommy Douglas instituted a Universal Hospital Insurance program for all residents of Saskatchewan and he would later introduce Universal Medical Insurance to cover care performed outside a hospital. The program was so popular that, by 1961, all Canadian provinces had enacted some form of universal healthcare. Today, every Canadian is guaranteed healthcare paid for by their respective province of residence. How this looks varies somewhat across the country, but there remain concrete principles that bind them all together in unity of purpose. Today in Canada, all 10 provinces and 3 territories have a program that pays for healthcare services for their residents. 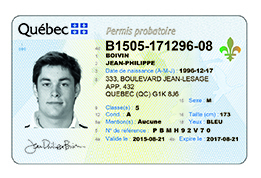 In Ontario this is known as the Ontario Health Insurance Plan (OHIP), in Quebec it is the Régie de l’assurance maladie du Québec (RAMQ or Québec Health Insurance Board), and in British Columbia it is the Medical Services Plan (MSP). 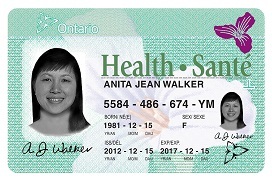 All residents of a particular province receive a health card (known sometimes as a Medicare card). The residents present their card when attending appointments with their primary care doctor, receiving the advice of a specialist doctor, or visiting an emergency department of a hospital. One feature of the Canadian healthcare system is that patients pay absolutely nothing for covered healthcare services as guaranteed in the Canada Health Act of 1984. This means that patients pay no copays, deductibles, co-insurance, or any other fee when they consult medical help. The coverage, generally speaking, is pretty broad in what it covers. All provinces cover care received in a hospital whether that be through an emergency room visit or admittance to a normal hospital bed. The plan also covers consultations with doctors outside a hospital, such as at a primary care doctor’s office or with a medical specialists including surgeons and psychiatrists. Additionally, the provinces have free range to decide what other services they would like to cover such as dental, vision, and outpatient (outside the hospital) prescription drugs. Many provinces have opted to means test these services; for example, only providing free dental and vision care to children, elderly, and low income persons. The provinces also vary widely in how they cover prescription drugs you would receive at a pharmacy. In this regard, many provinces cover drugs for the elderly, those with low income, or those who have spent a certain amount of money privately and have qualified for catastrophic coverage. Canada is currently the only universal healthcare system that does not cover prescription drugs in their regular healthcare plan (however, a number of provinces are slowly introducing universal pharmacare plans such as Ontario providing free prescriptions to all people 24 years old and younger). Patients in Canada receive their care in a vast number of private not-for-profit medical facilities across the country. This differentiates it from a country like the United Kingdom where the facilities themselves are owned and operated by a governmental authority and many doctors are public employees. Doctors and hospitals receive payment for their services through negotiations over the reimbursement rates the provinces will pay to providers. This amounts to (in Ontario) a roughly 746 page book filled with the amounts that OHIP will pay for services performed by physicians. For example, a family doctor receives $60.88 for a standard consultation (compare this to the $117 that UnitedHealthcare paid for my recent trip to the doctor) and $80.21 for a standard consultation with a Gynecologist. Hospitals are normally financed using yearly budgets agreed to by the provinces and hospitals. In 2017, University Health Network (a major group of hospitals in the greater Toronto area) received a payment of $975 million from the Ontario Ministry of Health and Long Term Care. These negotiations between the province and providers of healthcare keep costs low and alleviate the financial burden for the people of Canada. The country’s care is paid for using tax contributions based on its citizens’ ability to pay. Most provinces simply use general tax revenue to pay for their plans but some provinces (like British Columbia) also collect a monthly payment (anywhere from $0 to $60) made by households. 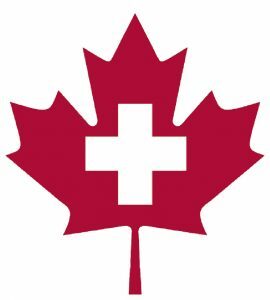 In 2016, Canada spent a total of $179.7 billion in healthcare (roughly $5,000 per person) which equals about 11.1% of their GDP. The United States, on the other hand, spent roughly 17.9% of our GDP on healthcare in the same year; about $10,348 for every person. Of course, there is no modern healthcare system without its own particular complications and challenges. The Canadian healthcare system faces many of the same issues that other countries are currently facing. The general aging of the population means that more people are requiring more healthcare services. This places a strain on already crowded hospitals and medical clinics. Canada is addressing this issue in the same way many other countries are by building new facilities, training more doctors (or allowing greater number of immigrant doctors into the country), and pushing provinces to find new ways to keep out those who don’t need to be in hospital. However, Canada is facing some particularly unique challenges to meeting their healthcare needs. The country does have some of the longest waits for elective procedures such as hip/knee replacements, cataract surgery, and non urgent diagnostic scans (MRI and CT). In recent years, however, the provinces have opened up transparency about wait times and there are now a slew of helpful websites to assist patients in navigating (and even reducing) wait times. The hope is that someone in need of care can view the average waits for procedures and scans at hospitals to help them find a facility with shorter waits. It is worth noting, contrary to much conventional wisdom, that these wait times are mainly in the area of non-urgent issues that will not place the patient’s life at risk; doctors evaluate each patient’s needs and ranks them based on the urgency of the issue at hand. If you are in a car accident and are taken to hospital by ambulance, there will be no such thing as a wait for your CT scan. However, if you are experiencing slight lower back pain, you may have to wait months for that scan. Indeed, the country has in past years taken the conscious choice to extend wait times in order to further stretch provincial budgets. The Canadian people have now come to their limits on how far this stretching can go however. Provinces across the country have devoted more resources to mental health, prescription and dental care, and long term care services. The country is also the only place with a universal healthcare system that does not cover outpatient prescription drugs in its set of standard benefits. As a result, many Canadians (or often, their employers) must purchase prescription insurance plans through companies like Blue Cross Ontario. Today, prescriptions taken at home are at the forefront of treating diseases and keeping patients from costly hospital procedures and as a result, there is a call from healthcare leaders to introduce a universal pharmacare program to cover the medications in the same way that other services are. Canada is learning from its unique challenges to bring more services to more people. In past years, the health of First Nations people had been neglected but there is a push to change this. The Canadian system, while not perfect, has ensured that generations of people can receive the treatment they need without a financial burden hanging over them. Canadians never have to worry whether a major health scare will bankrupt their family and place them in ruin. The pols will consistently show that the healthcare system is typically the greatest accomplishment Canadians feel for their country. 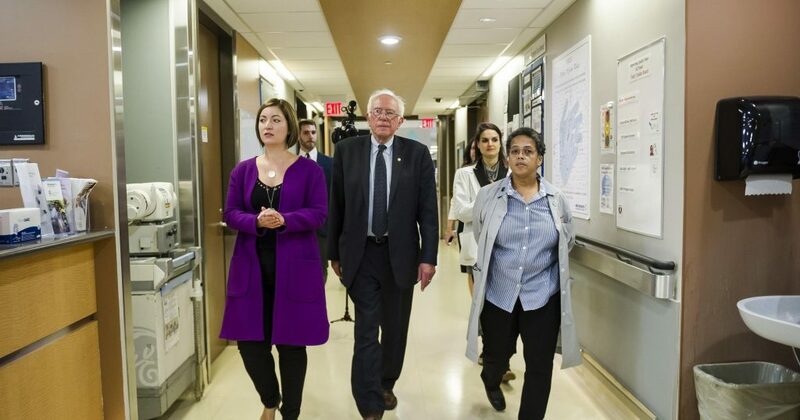 Despite what US conservatives will yell at you through a TV screen, Canadians aren’t running from their single payer system but are instead embracing it and focused on improving it. There are many lessons that Canada can teach the United States as we seriously consider a Medicare For All system, but big ideas often start in the hearts of revolutionary people such as Tommy Douglas. The Houston DSA Medicare For All Working Group meets the third Wednesday of every month. Follow our calendar to learn about these and other DSA events in Houston. 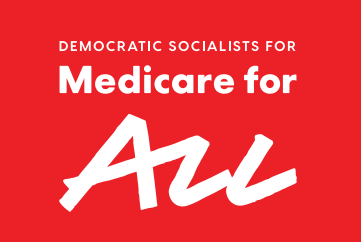 Find out more information about DSA’s Medicare For All effort here: https://medicareforall.dsausa.org/.